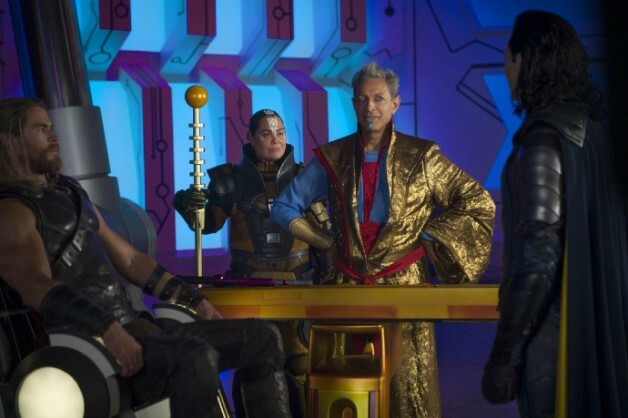 One of the highlights of Thor: Ragnarok was Jeff Goldblum’s Grandmaster, the hip and incredible de-facto “ruler” of Sakaar. When the trailer revealed him to be a blue, red, and gold suited alien hosting gladiator tournaments on a scrap planet the fans weren’t disappointed. Goldblum’s En Dwi Gast, is one of the elders of the universe and his presence in the Marvel universe hints at the MCU going in a far more cosmic direction. He’s bold, friends with Loki, and utterly thrilled at the possibility of the Hulk smashing Thor into pieces. Upon discovering that they’re “friends from work”, the Grandmaster’s grand plans are foiled. What are those plans, however? 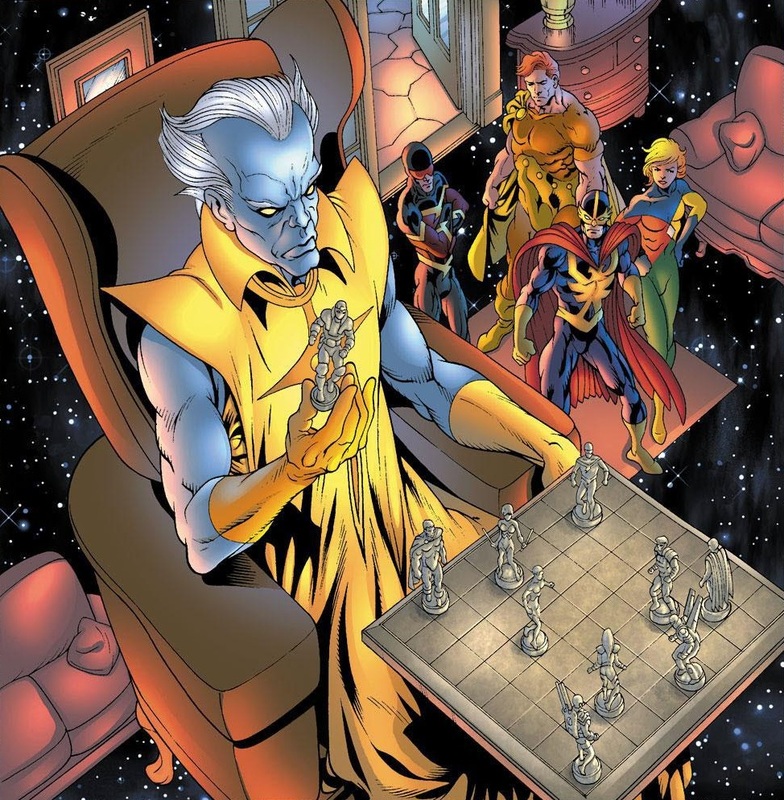 Who is the mysterious “grandmaster” and what is his ultimate goal? Let’s take a look at En Dwi Gast, one of the “elders of the universe” and just how he might shape the future of the MCU at large. Fans of the comics know that Marvel has taken us from the most basic of characters to the grandest of god-like creatures. Drawing inspiration from real-world mythos, the world of the Marvel universe is vast and includes characters like Galactus, Eternity, and the elders of the universe. No, these aren’t Ego like beings, these aren’t literal “gods”. Rather, the elders are some of the first beings that existed in the “universe” of the MCU. Ageless and effectively immortal, the elders all refer to each other as “brother” or “sister” in the confines of the MCU. The secret to their long life? A hobby or a “reason” to keep existing. For En Dwi Gast that obsession is playing games. The grandmaster has traveled the cosmos seeking out different sorts of games and means of personal amusement. He’s pitted the Avengers against the Invaders, forced Captain America to fight Black Panther, forced the Defenders to fight each other and is responsible for creating Doctor Spectrum, Nighthawk, and the Whizzer out of nothing. In essence, the Grandmaster is a perverse sort of D&D dungeon master, except his “character” sheets transform living beings into combatants for his complicated mazes. As far as people who have beaten the grandmaster in his games, Daredevil tricked him into a coin toss that daredevil-using his enhanced senses-won. Wagering the earth on a coin toss might seem something worthy of a DC comic but the Grandmaster accepted defeat and left for the stars once again. While it’s unknown if the Grandmaster knew that Daredevil was playing with a “loaded” deck as it were, this shows that the grandmaster has a certain – if perverse sort of honor. Much like his brother the collector. In the Guardians of the Galaxy: Mission Breakout ride at Disney California there is a painting of the collector and the grandmaster playing a game. The collector is looking amused as the grandmaster angrily slaps the game off the board. Drawn by MCU concept artist and digital genius Ryan Meinerding, the painting depicts a relationship that was a complete and utter surprise – the notion that the Collector and the Grandmaster were brothers, or somehow connected. The collector remains a mysterious figure capable, like his brother, of crossing dimensions and manipulating matter. While he originally had a wife and child in the comics, his daughter Carina became his assistant in the movies. The collector gives free “tours” of his collection in California Adventure but in the comics the collector’s “collection” has a singular almost terrifying purpose that ties directly into the MCU – and the future of the franchise(s). Believe it or not, Tanaleer Tivan is attempting to save as much of the galaxy as he can from a “force destined to destroy the universe” – also known as Thanos. That’s right, in a certain light Tivan believes that what he’s doing is a good thing- despite capturing and torturing Carina in the movies and keeping several beings including Cosmo the space dog against his will. His ultimate goal of being Noah with an ark of beings doesn’t take into account the Avengers or any other creatures that might prevent the destruction of reality as they know it. Believing that he would build a spaceship and repopulate reality with the creatures he’d “saved”, he puts himself in a position of immense power. The collector is responsible for collecting the monsters Fin Fan Foom, VanDoom, Groot, and Gargantus. Eventually, these monsters were freed and sent to live on Monster Isle, but the collector has clearly been to earth multiple times. This was the basis for the “Contest of Champions”. Both the Collector and the Grandmaster possess something called the “power primordial” which is the source of all of the elder’s abilities. Leftover energy from the big bang, each elder is capable of wielding it and uses it to improve their existence and grand them abilities. The Collector hasn’t developed his “power primordial” fully which means that no one knows the full extent of his abilities. The Grandmaster, however, is a godlike being who has trained himself to use the power primordial to the fullest extent that he can give him everything from superhuman strength and stamina to a genius intellect. WHAT DOES INTRODUCING THE “ELDERS” OF THE UNIVERSE MEAN FOR THE MCU? Rather than deal with conventional villainy such as HYDRA or even beings like the vulture, the elders of the universe are a far more dedicated far more dangerous and powerful evil. These are beings who are so ancient that they’ve seen heroes rise and fall and their presence in the MCU is a hint at a potential rogues gallery for the Avengers at large -as well as potential anti-heroes on a grand and cosmic scale. With the introduction of Hela, one has to speculate that she might be the “death” Thanos is courting. Could Hela remain alive after the events of Thor: Ragnarok and could we see her do battle with the collector and the grandmaster? These beings who begin as very clear antagonists could become protagonists or at least anti-villains that might make for some very intriguing storylines down the road in the scope of the Marvel-19999 universe. One way or another, the introduction of the elders means that we’re heading out into cosmic territory which opens up a myriad collection of dimensions for the MCU to play around in. What do you think? Are you excited to see the Collector and the Grandmaster take shape on screen? Are you hoping for a reunion between En and his “brother” Tivan? 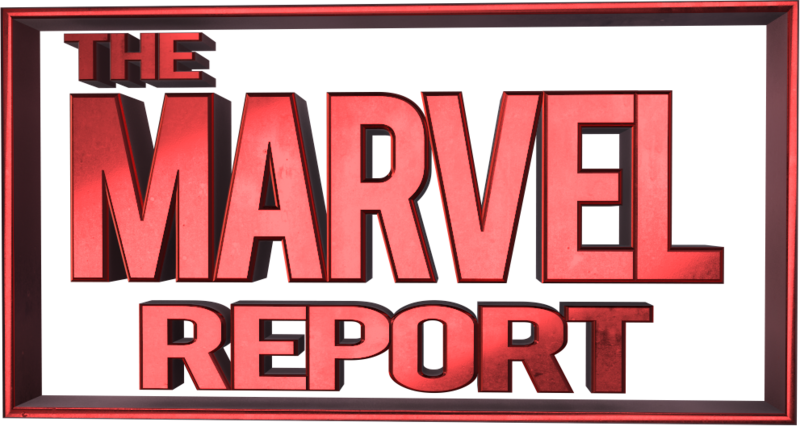 Sound off and share your thoughts in the comments below true believers and don’t forget to catch Thor: Ragnarok currently in theaters.